The Christmas wish lists of people all over the city are filled with gadgets and delights. Everything from Westinghouse fridges to iPads, Kindles and jewellery fill the wish lists of people around Australia. There is also, of course, the one, ubiquitous wish of office workers everywhere: an office Christmas party to remember. The idea of an office Christmas party is a strange one; after all, you spend eight hours a day with these people—what’s the big idea about wanting to celebrate Christmas with them as well? Nevertheless, the office Christmas party is a big deal in many organisations, so to make sure that you don’t do anything you could end up regretting, we’ve put together a list of dos and don’ts for the silly season. Don’t overindulge at the Christmas party. No matter what, no one wants to be the person that is remembered for puking in the office supply closet or hitting on the janitor. In addition to this you simply don’t want to risk compromising your professionalism, something that could have a detrimental effect on the rest of your time with the company! Do Take the opportunity to network and let your hair down a little bit. Don’t think of it as a shameless opportunity to progress your career (people can spot a user a mile away) but use it as a social way to get to know the people you work with. If there’s someone in another department you’ve been interested in talking to, take the opportunity to share a drink and have a chat. Don’t be a gossip. Often what happens as soon as we get a little bit of booze into us is that we let loose with all the office gossip we’ve heard over the time we’ve been working for the company. We tell the wrong things to the wrong people and all of a sudden it comes back to bite us--and them. At all costs, look after your own dignity, but also protect the dignity of others. Do offer to help. Taking the reins of the office Christmas party is a sure fire way to win extra brownie points with the boss, so if you can handle a little bit of extra workload around the Christmas rush, put your hand up! You can enlist a party hire company so that the event goes off without a hitch, and make sure that everyone has a great time while they’re there! Don’t go on a social media sharing frenzy, adding your boss to Facebook in what seemed like a good idea at the time. With the rise of smart phones and social media the list of people with whom you share your details should never include those that you work with—keep it personal, people! Do take the opportunity to celebrate a job well done. Focusing on the positives of the year gone by and celebrating with your colleagues is a great way to bond with your team and leave on a high note for the Christmas break. dats indeed suits 4 many situations sis... nice one.. 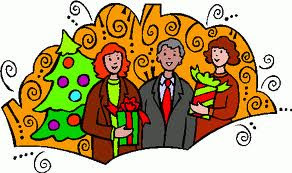 Happy Christmas to you & your family.. convey my regards 2 dad..